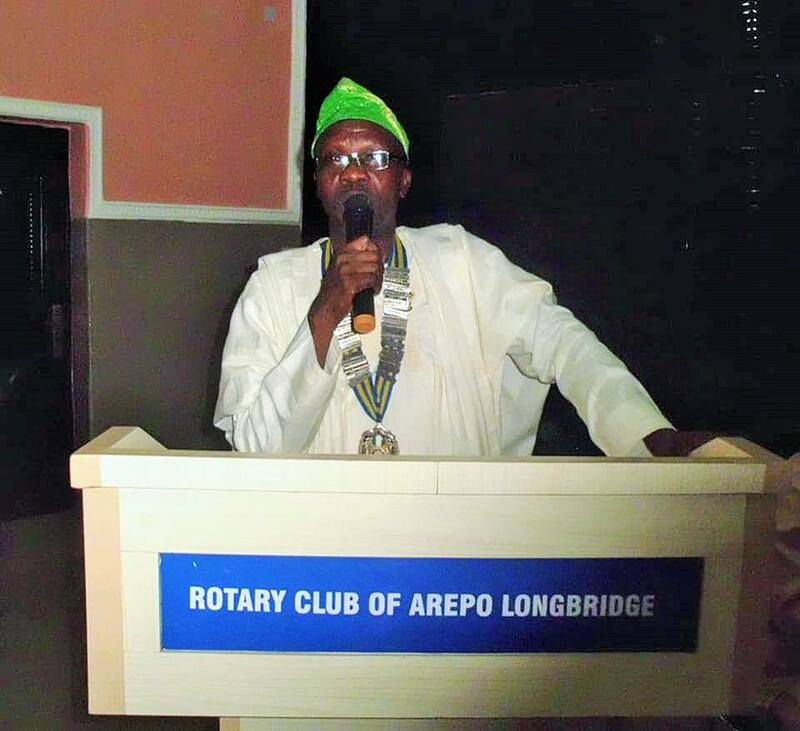 Rotary Club of Arepo Longbridge on Sunday, December 9, 2018 celebrated the District Governor, Rotarian Kola Sodipo as he adds another year to his years. 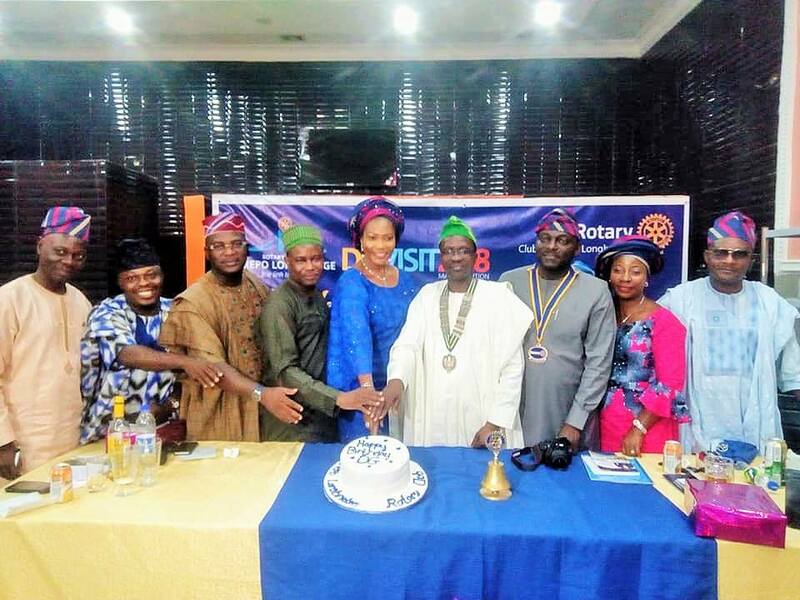 The club’s Inspiration President, Rotarian Omotayo Egunjobi and other members of the club leveraged on the official visit of the DG to the club to celebrate the DG who added another year to his years on November 3. 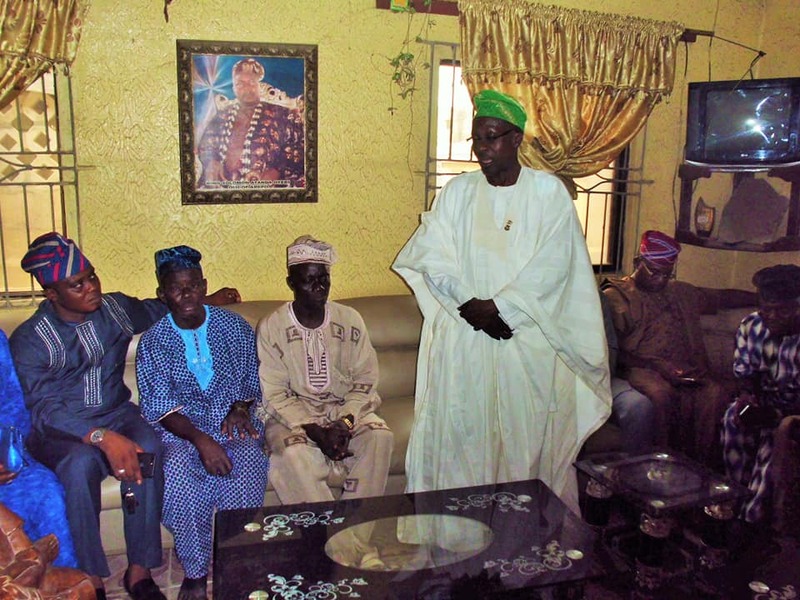 The DG’s visit to the club started with a courtesy visit to the palace of the Olu of Arepo who was represented by Chief Ashaolu Lateef and some other community leaders. The Vice President of the club, Rotarian Adebanke Alayaki pleaded that the king should permit the queen to join the club, stating that she had once attended the club meeting but it seems she is yet to understand the club. Rotarian Adebanke who noted that the club no longer hold its meeting at Garden Park but now Pancake house pleaded that the king permit the queen to join the club as she portrays the qualities required to join the club. Chief Ashaolu, while responding to the club’s plea, stated that the queen who is currently on a visit to her child’s house, will join the club upon her return to the palace. He also thanked the club on behalf of the king. The Chief further thanked the club on behalf of the king stating that the community has dedicated a land to be used as Arepo Health Centre but the community would need the assistance of the club to provide equipment and drugs that will be needed in the Centre. The DG responded that the club will surely assist the community towards having the proposed health centre as that is what Rotary is known for. The club also led DG Sodipo to inspect a block of two classrooms in Arepo Community Primary School which the club plans to renovate. Rotarian Egunjobi noted that the renovation would commence in two weeks as the club wants to leverage on the Christmas/new year break to carry out the renovation so that the pupils will resume to a newly renovated building. The outgoing Proprietor of the school, Mr Quadri S. O, the incoming Proprietress of the school, Mrs Ayilara F. O, and the P. T. A. Chairman of the school, Mr Arogunde K. A. were also present during the inspection.